OFA is a 501(c)3 non-profit organization dedicated to connecting and giving back to local communities by enhancing the lives of youth through mentoring, sports and life skills development. The Oregon Football Association (OFA) was founded by Ryan DePalo, Brent Haberly, Dennis Dixon, Garren Strong, and Jaison Williams. 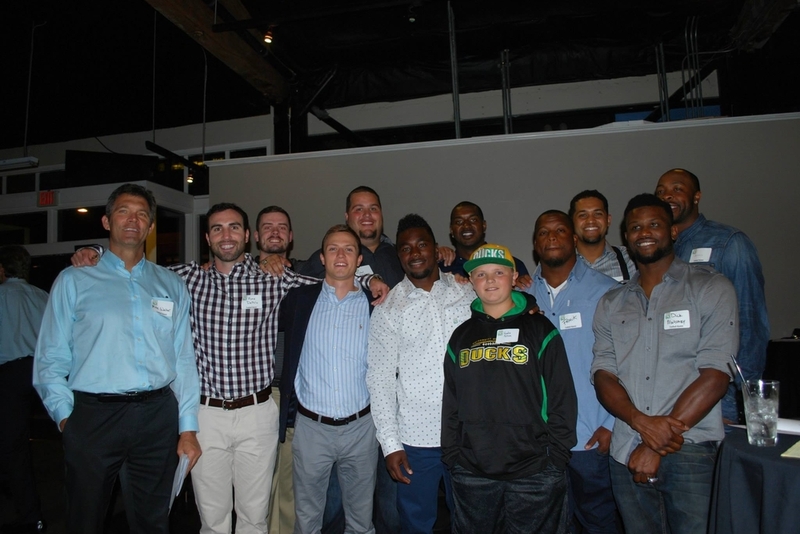 All founding members played football for Oregon and wanted to reconnect with Oregon players and give back to the community. MTV Cast "The Buried Life"
The first OFA camp was held in the summer of 2009 and featuring Dennis Dixon. In the first few years, the OFA was extremely successful in what they set out to accomplish and the founding members decided to expand and get more support to create a more positive impact in the years to come. Each year more and more Oregon Duck football alumni discover the OFA movement and join to help make a difference. In August of 2011 the cast of MTV’s “The Buried Life” made the trip to Tigard, Oregon to put on a charity football camp and alumni flag football game. All the proceeds went directly to the OFA. OFA is now looking to reach it’s full potential and every year more and more former Ducks have join the movement!